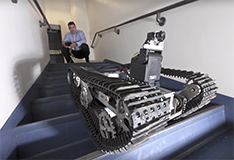 The Birmingham Extreme Robotics Lab (ERL) is Europe’s most prominent university lab dedicated to nuclear and other extreme environment applications of advanced robotics and AI. 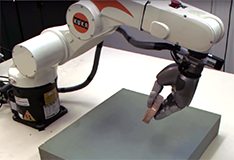 Birmingham ERL researchers developed the state-of-the-art algorithms and control methods which recently achieved the first ever deployments in history of autonomous robots in nuclear sites (AI-controlled, vision-guided grasping of inactive waste materials at NNL Workington in 2016, and AI-controlled, vision-guided robotic laser-cutting of contaminated metal inside a real radioactive hot-cell at NNL Preston in 2017). A consortium of eight universities, led by University of Birmingham, has secured £42 million of new investment to fund the National Centre for Nuclear Robotics (NCNR). 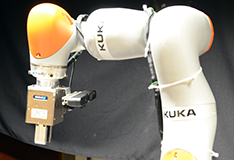 Dr. Rustam Stolkin, Senior Birmingham Fellow in Robotics, has recently been awarded a Royal Society Industry Fellowship, entitled 'Advanced robotic manipulation for nuclear decommissioning'. 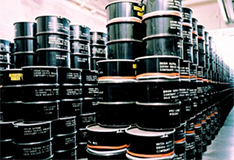 A collaborative EU Horizon 2020 project including the University of Birmingham, National Nuclear Laboratories (NNL) and French Alternative Energies and Atomic Energy Commission (CEA), and the National Centre for Scientific Research (CNRS) will commence in May 2015 to develop cutting edge new robotics techniques to assist the future clean-up of legacy nuclear waste.